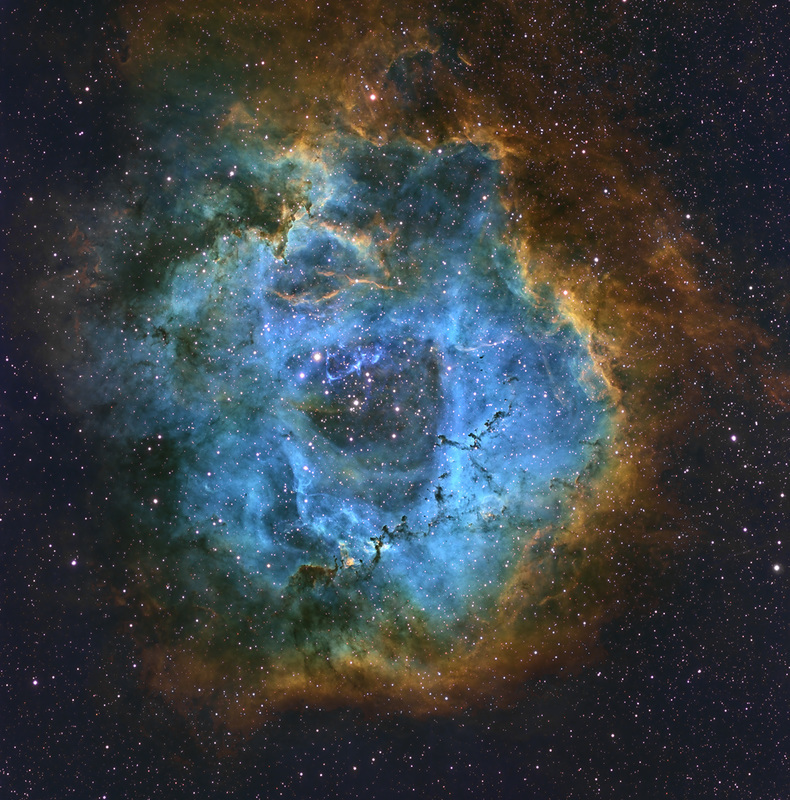 is an emission nebula which is among the brightest and most beautiful of its class. A staggering 50 light years across, it is a nursery to NGC 2244, the 'new' (1M year old) cluster of stars at center. Dark veins called Bok globules give the rose its petals. As a guitar player, it has special meaning. Stemming from the medieval lute, the beautiful decoration around a guitar's soundhole is also called a rosette. Thanks to Michael Miller for acquiring the data.